Author Timothy A. 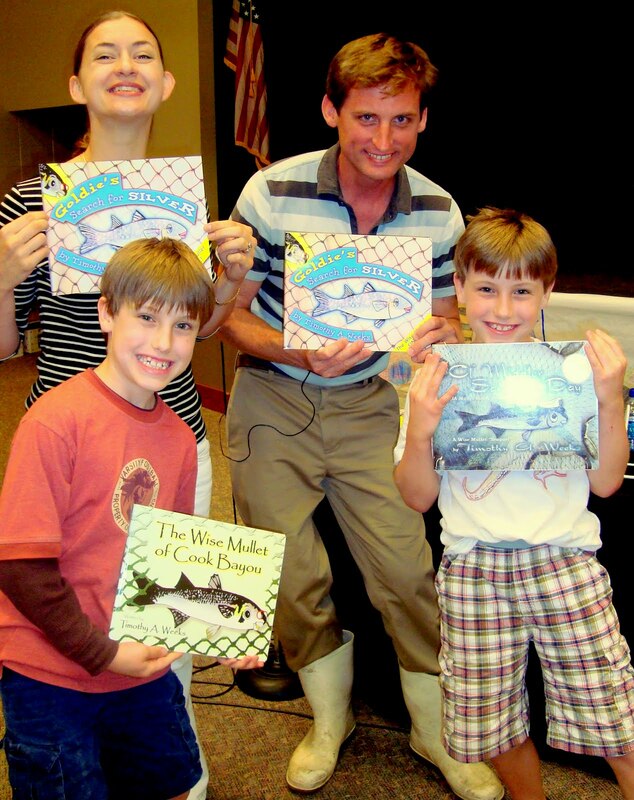 Weeks and his wife, illustrator Lala Rascic, talk mullets and book magic with Max and Harry Evans of Brookwood Forest Elementary at the 2011 Mountain Brook Writer's Festival. Timothy A. Weeks was one of four children’s authors participating in the annual Mountain Brook Writers’ Festival, hosted by the elementary schools of Mountain Brook, Alabama.